Bringing Joy To Those Who Would Be Pigs. Weird to agree with communist thinking! Firstly this excellent heads up, preceded by another excellent one, to be recommended highly, as well on the steady, creeping and nauseating control freakery, beloved of Brussels and its quisling culture of deceit and lies. The Metropolitan Police are used as a diversionary tactic, again highlighting the abhorrent politicisation of the police by Labour and continued by whatever this Cobbleition wants to be on a particular day. Nevertheless the collusion by Western Governments, demanded by their pay masters in the bankster and corporate plotting factories, is there for all to see and blog about on the internet. The continued blind march of the Lemmings from Brussels does little to put off the idiots and supreme narcissist of bureaucratic cabals. So the apoplectic rage, witnessed daily in the corridors of abused power, has but one massive and paranoid requirement. That is to steal, destroy, spoil, wreck any democratic clamour that demands the freedom of electronic speech alongside that of verbal expression. Such is the growth of thought police as a weapon for deployment, only one detail stands in the way. That detail is the wrestling of the internet from we poor "little" people, in order to make is solely an advertising vehicle coupled with that's twin sibling, propaganda. 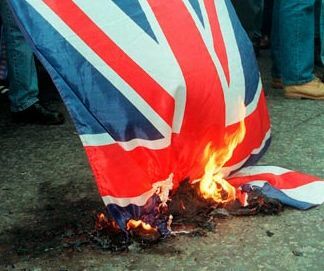 So now this Cobbleition does the bidding of The EU yet again and trot out the desire to suppress freedom and democracy. it's all so predictable and so very nasty. It really is time to parade the mandarins for the ridicule their superiority complexes but nasty characteristic arrogance and puerile selfishness, deserves. As awful as our politicians are their slavish obedience to the "technocrats" is of nought in comparison to the damage the hidden evil produces. This monitoring and control sought, is a perfect example of their slowly emerging awareness that the internet is able to expose their existence and their nastiness. The Federal EU State is only serving of one profession and that is that of the Bureaucrat. Cowards who hide behind a system with not a grain of democracy visible. The passionate need to steal our internet away is something which will either be successful and close down dissent, debate decent interchanges across Continents or the complete opposite. Time will tell. 1984 was never written as a fantasy or a 'warning' of what our future would be like if we didn't do this or that to stop it. Orwell was in on the game and drastically changed his stance when he went to fight Franco in Spain, realising that the socialism he knew wasn't what he thought it to be. 1984 was written to tell us that THIS IS how our future is going to be. There's nothing whatsoever can be done to stop it. It's for this reason that I'm portrayed as negative and pessimistic, yet, as the Harbinger and one who merely puts the facts in place, how can one be called negative when they speak the simple truth? Can truth be negative or positive? I thought the truth simply is the truth. The huge indoctrination that's gone on since the 50's has utterly changed people's mindset. They think differently, that is the younger generations, to how younger generations thought 16 years ago and so on. Once a mind has been drastically altered (indoctrinated, not brainwashed, as there has to be something there to brainwash and most older people see the falsehoods, through wisdom) there is nothing that can be done to change it back. It means accepting the reality you know to be nothing but lies and people are unable to condone this. Freedom of speech has always been the first thing that all totalitarian regimes destroy, simply because individual thought is the most powerful weapon on this planet and they know this. There are literally thousands of sights that will be shut down all over the UK and the even more in the USA, when the Internet laws are passed to stop people speaking out against the corrupt system. Again, this can't be stopped. People are being conditioned to accept constant draconian close downs on their liberty. People may complain..a bit..but that's all they do. That's where the buck stops. In order to stop what's happening and is about to be, people HAVE TO MAKE MASSIVE SACRIFICES. It means doing things that they would never have thought ever of doing. It means doing things they know will get them ostracized from their peers. It means people doing things that will alienate them from their families etc etc. Again, they won't do it. They would all rather accept the continuing prison to be built around them until they are under total lockdown 24/7 in everything they do instead of 'being different' and 'radical'. Draconian measures are needed by all to stop the draconian measures currently being implemented by politicians throughout this world upon the people, under orders from the elites themselves. Harbinger, as always, much well argued. However we do know of uprisings in history, France being one, Russia another. Even today The Middle East is witness,as are we all, to dissent and lust for freedom. Sure the weaker minds are easily led but the strength of spirit is never far away. Time alone does for the totalitarian dreams, eventually. With all due respect, France and Russia were planned revolutions by tptb. France was to topple the French monarchy, in order to bring about the rule of the banks. And Russia was not only payback from Rothschild against the Tsar, whose faher had flatly opposed the first attempts at a creation of New World Order, but also to test out communism on the Russian people, before it was unleashed upon the rest of the west as we are seeing today. What's happening in the Middle East is being instigated by the banks in the West. The agenda to topple the Islamic nations was planned long before Gulf War 1. In fact, it was planned back in the late 19th century. The Islamic nations still oppose banking control (Jewish usury) of their lands. All organisations and political movements are inflitrated and controlled. This is reality. I accept much of what you say, Harbinger but argue the protagonists. China and Russia I suggest, are a bastion against those western conspirators. Yet they are not without a desire for their version of a NWO.